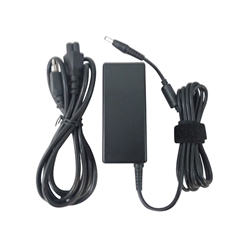 Description: New 3 prong high quality aftermarket 65 watt ac adapter charger power supply. Comes with power cord. Input: 100-240V~1.5A, Output: 19V - 3.42A. Compatible Part #'s: SADP-65KB D, PA3467E-1AC3, AP.06501.SV1, PA-1650-21, PA3467U-1ACA, PA3714U-1ACA.